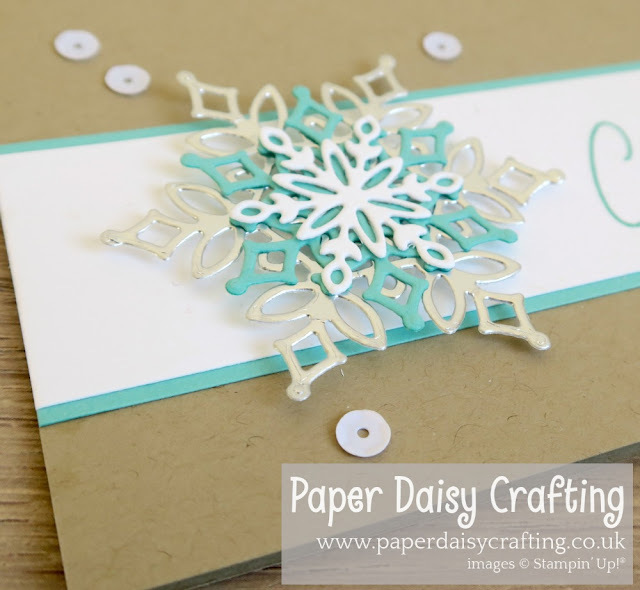 Well here we are at Day 5 of my series of projects using the beautiful limited edition snowflake products and today I am again using the Snowfall thinlits dies. This really is an amazing set of dies. My card today features some of the snowflakes which I have layered. I started with a crumb cake card base and then added a strip of Whisper White mounted on Coastal Cabana. 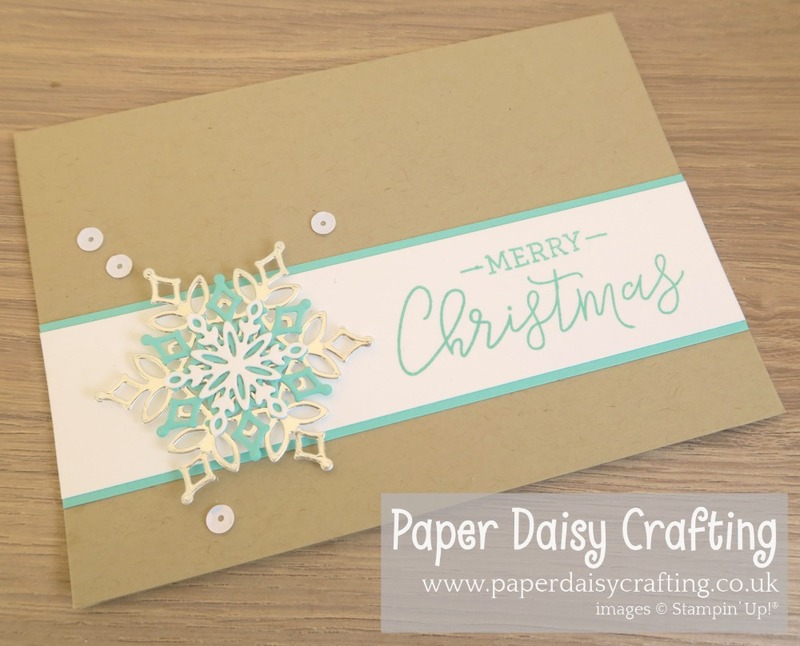 My snowflakes are die cut from Silver Foil, Whisper White ans Coastal Cabana cardstock. 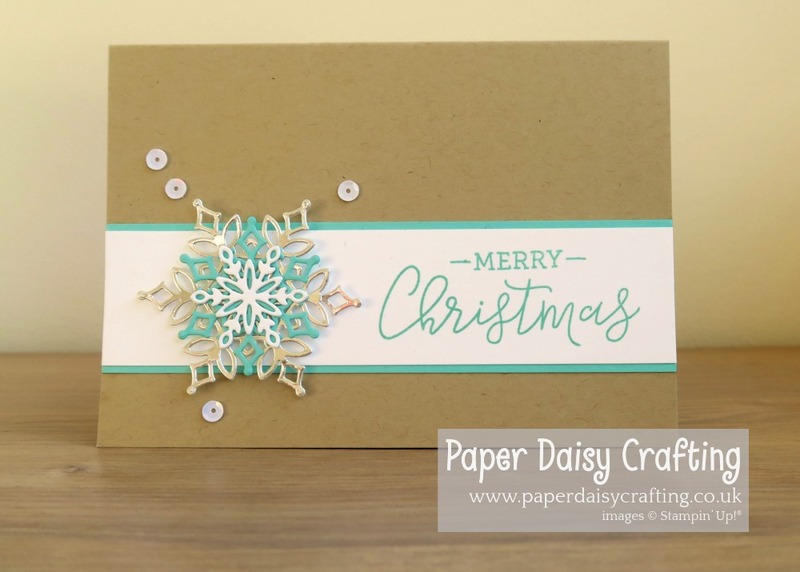 The "Merry Christmas" sentiment ids from the Warm Hearted stamp set, stamped in Coastal Cabana. And here is a close up of the layered snowflakes. We are now coming to the end of my series of projects using these products. I think I have two more to show you. Don't forget that they will be discontinued forever next Friday so only a limited time to order them!